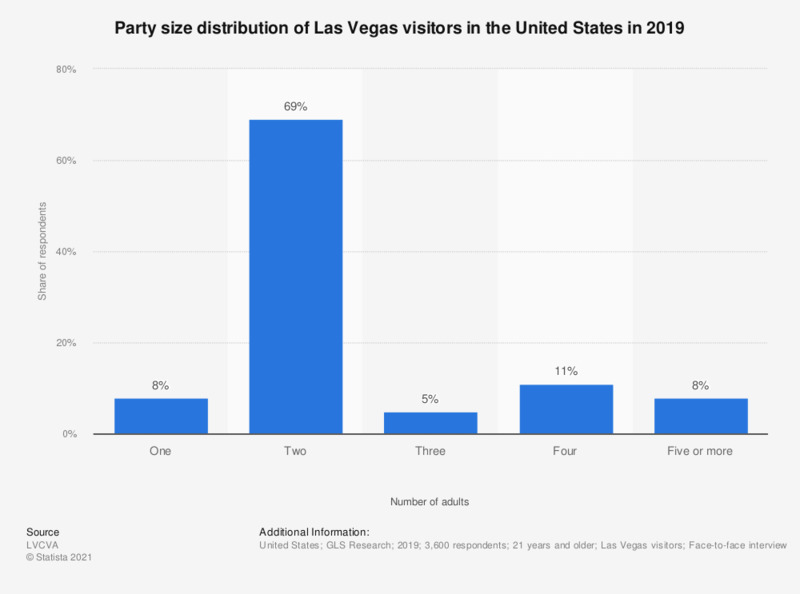 This statistic shows the party size distribution of Las Vegas visitors in the United States in 2017. During the survey, four percent of the respondents stated that they had traveled to Las Vegas in a group of three adults. What defines a romantic getaway to you?